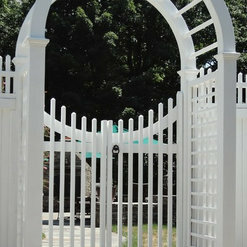 West Hartford Fence is a full service fence manufacturer and installer in the Greater Hartford county and beyond. 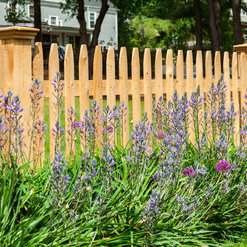 We manufacture and install custom northern white cedar fencing. 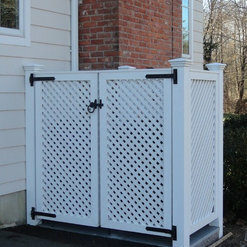 By partnering with industry leading manufacturers, we also sell and install Vinyl, Metal, and Aluminum fence products. We can manufacture, sell and install beautiful accent pieces to increase the beauty of your outdoor living area; including Pergolas, Arbors, Custom Cedar Lattice Work, Enclosures, Light Posts, Mailbox Posts and More!!! Cedar, Vinyl, Metal, Aluminum, and Chain Link fence products and installation. 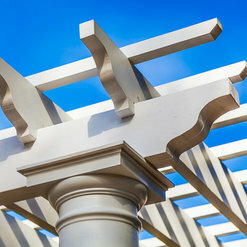 Lamp posts, mailbox posts, arbors, pergolas, enclosures, decorative lattice panels and screens, and more! Mainly Greater Hartford. We do travel to other areas of the state depending on the job. 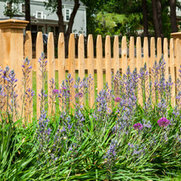 See many of our custom cedar fence products on display at Gledhill Nursery in West Hartford, CT. Commented: Love the fence. Overall height and lattice dimensions?Thank you! The overall height of this product is 78" (6' 6"), of which 25" is the lattice proportion. Installed here with a 6"x6" cedar post with Federal Post Cap.